Last year, Aziz Ansari was accused of sexual misconduct and now he’s extensively speaking about the allegations. 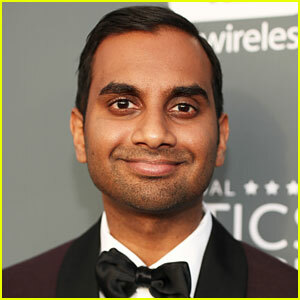 If you don’t know, Aziz released a brief statement at the time, but hasn’t spoken about the accusations since. Adele & Partner Simon Konecki Make Rare Appearance Out on Date Night! Hugh Jackman Had a Mini 'X-Men' Reunion in Hungary! Beyoncé Drops New Music! Watch The Video For The Singer's Brand New Single Formation HERE — Will She Perform It At The Super Bowl?! Pregnant Ginnifer Goodwin & Josh Dallas Film 'Once Upon a Time' Together! Patricia Arquette Brings Boyfriend Eric White To Ethan Hawke's 'Born To Be Blue' Premiere! Camila Cabello Helps Close Out Billboard Hot 100 Festival! 'America's Got Talent' Recap: Quarterfinals Week 3 Results Show-Who Are The Final Semifinalists?